This paper focuses on developing an online structural condition assessment technique using long-term monitoring data measured by a structural health monitoring system. The seasonal correlations of frequency-temperature and beam-end displacement-temperature for the Runyang Suspension Bridge are performed, first. Then, a statistical modeling technique using a six-order polynomial is further applied to formulate the correlations of frequency-temperature and displacement-temperature, from which abnormal changes of measured frequencies and displacements are detected using the mean value control chart. 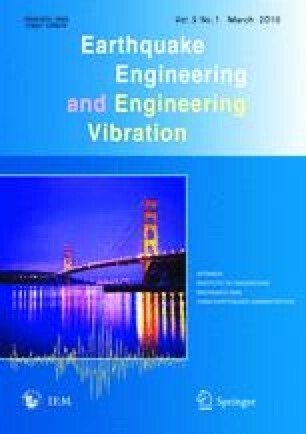 Analysis results show that modal frequencies of higher vibration modes and displacements have remarkable seasonal correlations with the environmental temperature and the proposed method exhibits a good capability for detecting the micro damage-induced changes of modal frequencies and displacements. The results demonstrate that the proposed method can effectively eliminate temperature complications from frequency and displacement time series and is well suited for online condition monitoring of long-span suspension bridges.